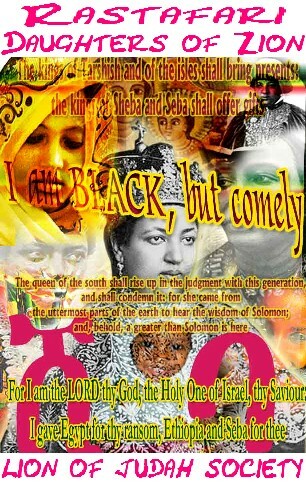 Ras Tafari Renaissance welcomes to the light of Ras Tafari in Revelation times! Lidj Yefdi, shall be your companion in an unfolding of stories with many hidden parts, unfulfilled prophecies, and pure curiosity of things overlooked. So stay tuned! Because, what you thought you knew will unveil more than you ever believed you ought to know. “Ras Tafari,…you mean the ganja smoking, drum playing, loud singing people who seem, at best, a bit eccentric, but very captivating?…” This is just one of the many thoughts that come to mind about what most people know about Ras Tafarians & their charismatic way of life. But, have you ever wondered if there was something deeper?,…Could these dreadlocked, red-gold & green wearing, people of the bush, really believe what they speak? Or are they simply just another attractive cult with talents that stretch as far as their spliffs? After all, people love Bob Marley, but could there really be a place in the world for such a people? Well, it seems as though, you opened a door that could possibly lead you into a path that not many have traveled. Hope you enjoy & gain from what you may discover. Because, there are many questions to be answered. Hi, I just check your Star Trek hand signs and Pharell Williams. Something of note in the latest in the movie series, they included the Ethiopian Trekkie – Dr. Spok’s girlfriend – and her name was ‘Nyota Uhuru’ which means ‘Star Freedom’ in Swahili language of East Africa. Greetings Brother from Chile (South America). I am really glad the Rastas in many places are using at last the Bible as the main Instrument to Jah Guidance. 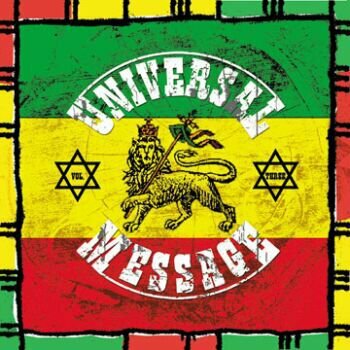 I only feel that it could be necesary, that as a Rastafari congregation we must have 1One global overstandig of the scriptures.. from my part i’ll keep studing the bible.. and i give thanks for iniciatives like this that can make an Utopi Real, to have ONE voice, One God, One Aim and One Destiny (Sal. 37:29). Shalom Wendim. if the I can, please link I @ tobiyatafari1989@gmail.com , we need to link and organize! alone, without a record label . ….Probably the only obstacle for using His Majesty’s image would be to, do so tastefully and honorably. But, of course in the world we live in many have taken copyright offenses, in using Haile Sellassie I’s image, along with other Legal matters which I will attempt to help you prevent from sharing His Majesty’s message with the world. So, please send me a link, & I will be sure to get with you as soon as possible. I personally want to thank for coming forward with that information! RRR here on the blog, is still seeking more vital information about the possible influence of Freemasonry among the initial stages of the Ras Tafari movement in Jamaica, as well as, other places. So, I’am not absolutely certain that you may be assessing that the post suggested that the Ras Tafari movement was started out of Freemasonry, because RRR has come to that conclusion with the little information/documentation that has been acquired. But, we cannot make any solid claims to any of this until our research proves such. This first-of-a-kind study edition of the Kebra Nagast might be of interest to you, and certainly it would be of interest to me to receive feedback and commentary. The book is multi-touch interactive, with a great wealth of video and audio material. I think it is truth worth sharing and spreading so I’m bringing it to your awareness here. From the flap: “The Kebra Nagast is Abyssinia’s most important indigenous Christian Wisdom Literature. It is often described as the account of King Solomon, the Queen of Sheba, their son Menelik, and how the Ark of the Covenant came to reside in Ethiopia. However, one would be tragically mistaken to consider it ‘just another religious story surrounding the famous encounter of Israel’s Wise-Man King and the Queen of the East’. Instead, the Kebra Nagast must be seen first and foremost as an important ecclesiastical commentary and interpretation of the Christian Faith, as viewed through the spectacles of Ethiopia. Given Ethiopia’s unique history as an island of Christianity with roots dating back to the days of the Apostles, the text should be of singular interest to any person interested in Biblical scholarship. Additionally, the Kebra Negast must be seen as a sort of spiritual manifesto of Ethiopians’ national identity, or Ethiopiannes. In particular, the Kebra Nagast functions to identify Ethiopians as the ordained ‘Keepers’ of the Biblical covenants between God and Man, and Ethiopiannes as being ‘in-keep’ of the covenants ordained by the God of Abraham, Isaac, Ishmael, and Jacob. This identity is shared by Ethiopian Jews (Beta-Israel), Ethiopian Christians, and Ethiopian Moslems alike and is central to the ancient heritage of this fabled country. If you would give it a look, I would be delighted about feedback/comments/reviews…whatever you find in you.